The Iberia F7 now possesses an all-solid equivalent. Introducing the brand new all-solid F10 flamenco guitar, featuring a solid International spruce top with strong cypress back as well as sides. 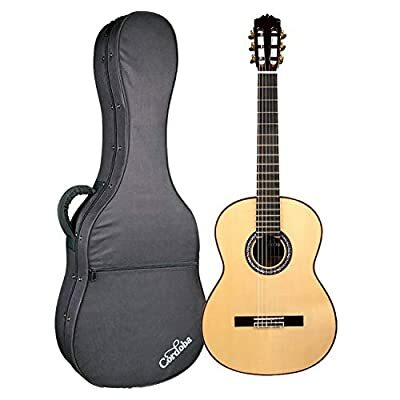 It is actually created with the typical Spanish flamenco body design - a standard neck position to give the guitar reduced activity as well as a flamenco buzz. The integrated truss rod creates readjusting the neck angle on this guitar a breeze. Includes a golpeador (faucet plate), the Domingo Esteso mother-of-pearl rosette, as well as includes a thick skin Cordoba humidified arch top scenario.